For a budget and quality outdoor Bluetooth speaker, look to the ZHOPPY IPX4 waterproof Bluetooth speaker. 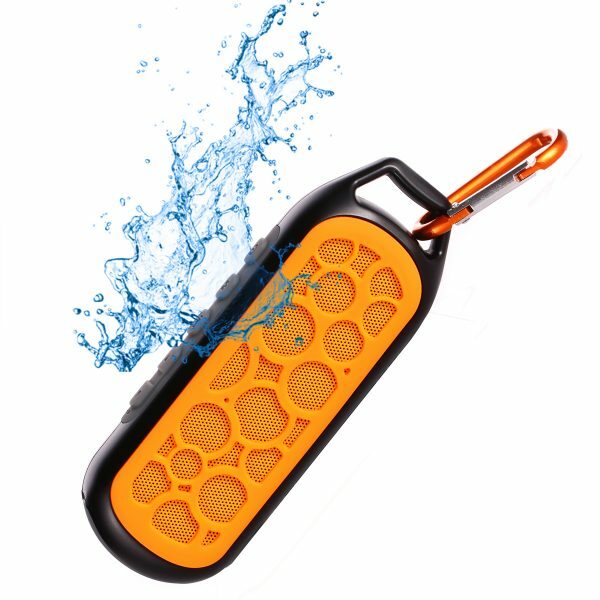 It is designed with water resistance, shock-proof and dust-proof so that it is a good sport Bluetooth speaker and shower Bluetooth speaker. 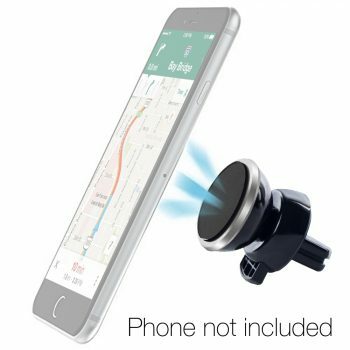 It is compatible with most Bluetooth devices including mobile phone, tablets and computers. With Bluetooth HFP, it can be used as Bluetooth speakerphone. 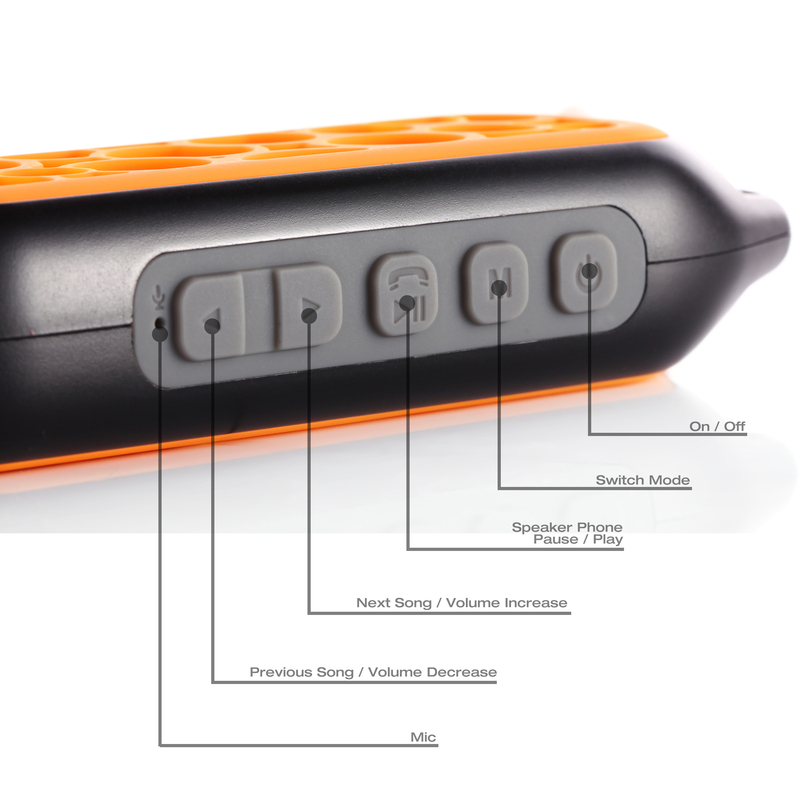 The portable Bluetooth speaker equipped with large 650mAh rechargeable Lithium battery. It supports up to 10 hours music playback. The Line-in mode let you play music from your computer or MP3 players without Bluetooth. It supports TF card music playback let you enjoy music without other devices.FM radio is an ideal additional feature for camping lover. The shock absorption silicone housing helps to protect the Bluetooth speaker from damage by shock. It is your best outdoor music companion. 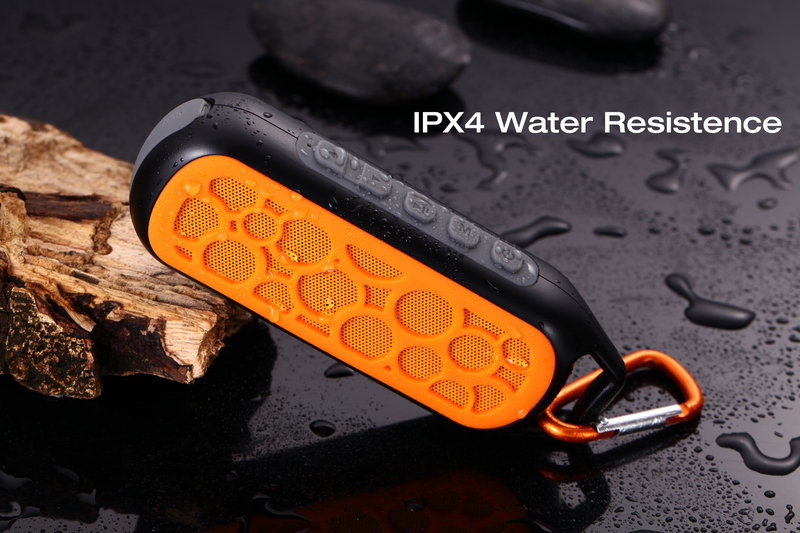 IPX4 Waterproof: IPX4 rated waterproof Bluetooth speaker. It is designed with water resistance, shock-proof and dust-proof so that it is a good shower Bluetooth speaker. 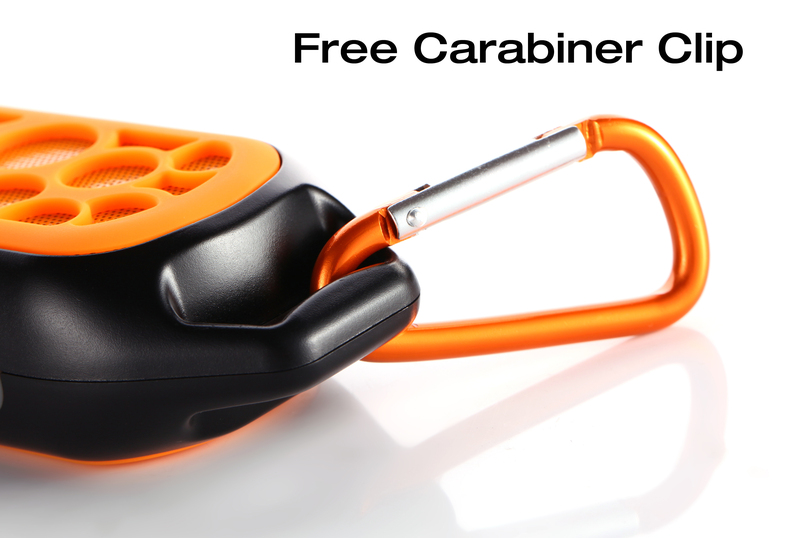 It also comes with free Carabiner hook, it is perfect to be used as outdoor Bluetooth speaker. Bluetooth Connection: Up to 33 ft Bluetooth connection range. With HFP profile enabled, the built-in mic makes it a Bluetooth speakerphone as well. 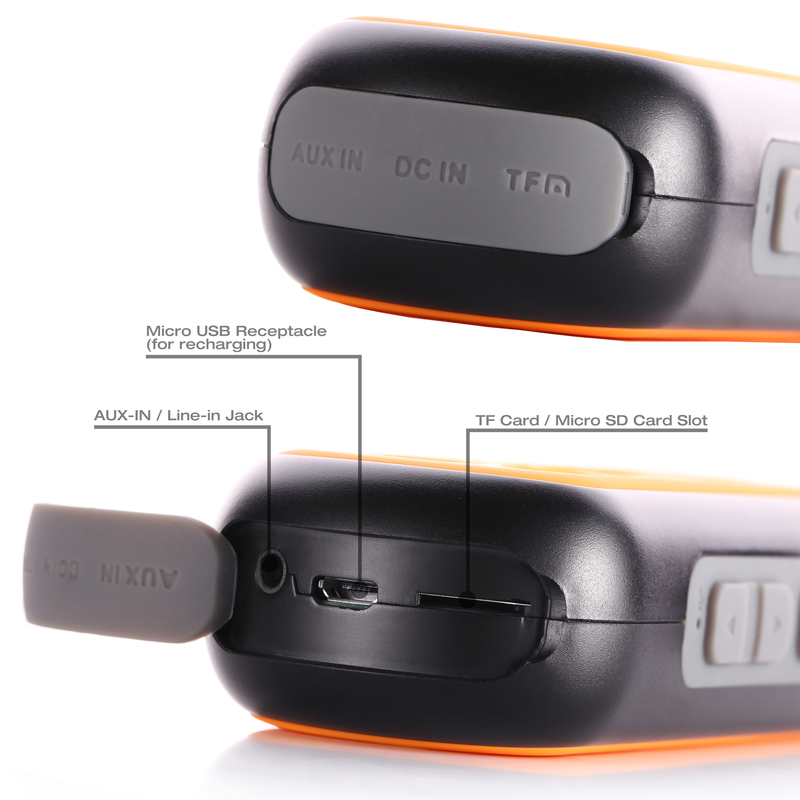 Line-in / TF Card supported: Line-in / AUX-in supported, you can also use it as computer speaker by the included audio cable. TF / MicroSD Card (MP3 / WMA / AAC format) supported, you can enjoy music without other devices. 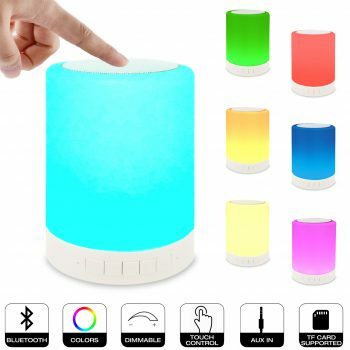 Portable: The portable Bluetooth speaker equipped with 650mAh rechargeable Lithium battery, supports up to 10 hours music playback for each full charge. Sport Bluetooth Speaker: The silicone housing can absorb most of the shock when dropping it. FM radio feature is a great addition for outdoor sport Bluetooth speaker.